In this week’s episode, I interview workplace drama researcher, international leadership speaker and consultant Cy Wakeman. Cy’s philosophy is grounded in reality, and she’s helped organizations and individuals all over the world learn to ditch the drama and turn excuses into results. We talked about how you can bypass your own ego and really see your privilege. We also discussed going beyond the Kumbaya part of diversity and inclusion, and really getting to the heart of the things that matter. I love how Cy brings together deep research and authentic experience to create steps, resources and tools you can use to remove the drama from your life and be an authentic leader. Perhaps this is why Cy Wakeman was named one of the Top 30 Global Leadership Gurus in the world, and she is also a New York Times best selling author. Cy is giving away copies of her books to THE Celebration followers. To enter the competition - listen/watch the interview and post your favorite quotes from it on social media. Then tag myself and Cy, and I’ll select 10 lucky winners! You can follow Cy on her Website, Instagram, Facebook or Listen to her Podcast. 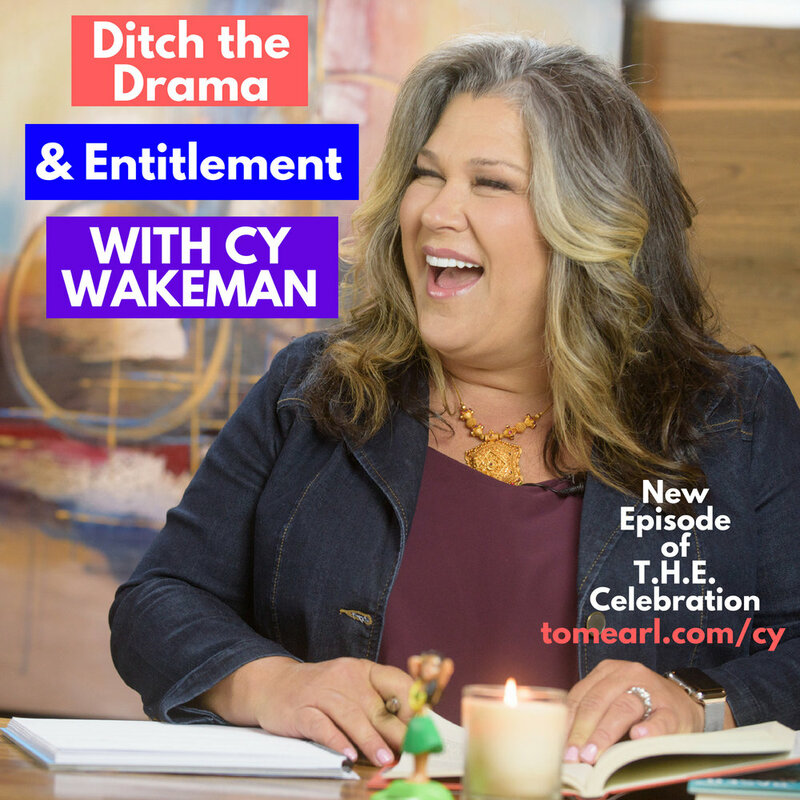 Listen to "Ditch the Drama and Entitlement with Cy Wakeman" on Spreaker.